The higher standards students today are expected to meet call for literacy instruction that focuses on the close reading of complex texts. 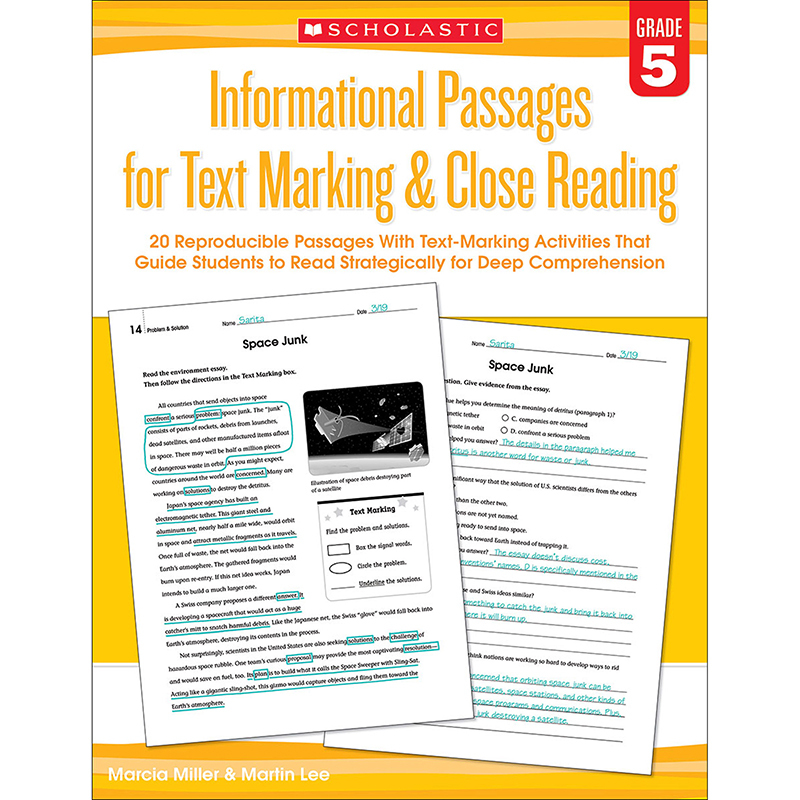 These informational text passages are organized around high-interest topics connected to the curriculum and to key comprehension skills. The readings are specially formatted to provide practice with text marking, a proven, powerful tool for building comprehension skills Such as finding main idea and details, identifying cause and effect, and sequencing events.